A powerful AV studio small enough to fit in an overhead aeroplane luggage rack. 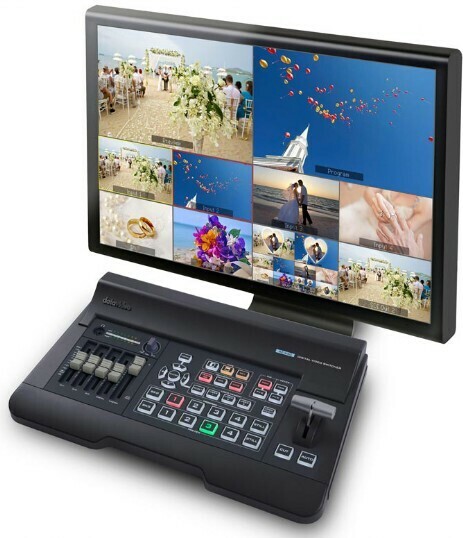 You can have an HD production switcher with multiviewer up and running in any location in seconds. It's a neat, powerful and affordable solution and it's been done so well that we're not surprised that it has such little competition. 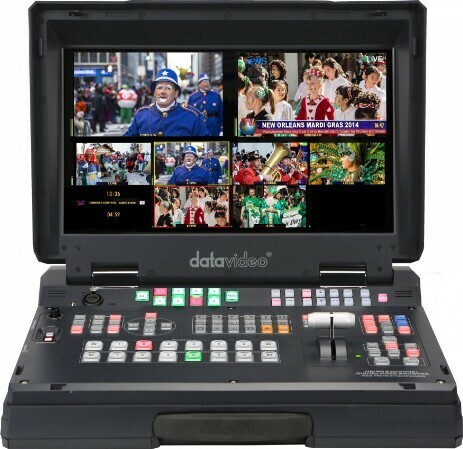 New on the hire fleet is the Datavideo SE650 – simple to use but still with a six channel sound mixer and chromo key. Four input channels 2 x HDSDI and 2 HDMI.